The "IN" Show: Bringing you the ins and outs of finding the nectar of the gods- Wine. The IN Show's Wine Tours. We do all of the hard work and visit the Wineries, Tasting Rooms, and Wine Bars in and around Hollywood and L.A.
We'll tell you what we've found and you get to take it from there! 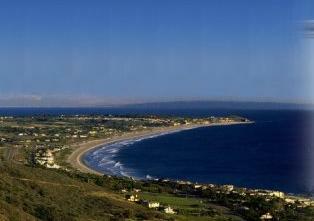 Malibu Wine is a home away from home. With its pleasant location, inviting atmosphere, and beautiful open space, Malibu Wine is an incredible place to relax with friends both old and new. The samplings themselves will vary from 4 to 8 glasses being poured out of the available bottles represented at the tasting bar. Malibu Wine is the perfect place to be whether stopping by on the fly, looking for a way to relax, or needing that little bit of extra attention. Visit them at MalibuWine.com and tell them you heard about them on The "IN" Show! Looking for a Los Angeles winery that blends together a suberb combination of business and pleasure? Stop by San Antonio Winery. They are comfortably located in our City of Angels and they offer many amenities to both the casual walk-in and the reservation-making clientele. The tasting room is pleasantly situated on the premises. You pay per glass and are given quite an array of wines from which to choose. They even offer wine seminar luncheons that take wine enjoyment to a whole other level. Whether you are there for a delicious lunch, an enlightening tour, or a sampling of their personal selection of wines, San Antonio Winery will quickly and capably take care of whatever it is you have planned. If you are wanting a purpose driven experience, this place is exactly for you. Visit them at SanAntonioWinery.com and tell them The "IN" Show sent you! If you are taking a drive up the coast and are looking for a place to stop along the way, we've found just the place. 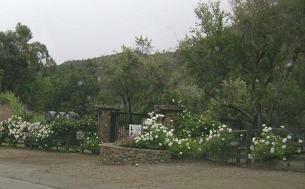 Rosenthal Winery is that fun, quick stop on your day trip along Pacific Coast Highway. Although the winery itself is unavailable to the public, Rosenthal Winery has opened an aesthetic tasting room. 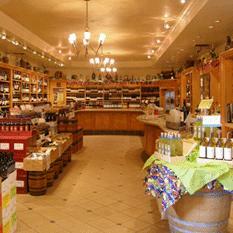 It is perfect for a taste of fine wines that are nicely complemented with some savvy wine information. Pop in to the RosenthalEstateWines.com and tell them The "IN" Show said it's lunch break!